Malaysia is also a member of the International Finance Corporation (formulator of the World Bank’s sustainability framework) and Sarawak Energy is a Board Member of the International Hydropower Association, which has produced a protocol governing the building of dams. All these protocols uphold the right of communities to be consulted before being turfed off their lands for projects such as dams. They state that good reason has to be given for these projects, in terms of the wider benefit of the community (not just a few greedy politicians) and that the environmental sacrifices should be minimised and justified. If and, only if, these projects are genuinely agreed to by the majority of the community should they go ahead, according to these protocols, which Malaysia has signed up to. Furthermore, any people who are forced to move or give up their way of life as a result of such projects should be given full legal support and full and fair compensation for their loss. That compensation should be LEGALLY GUARANTEED, not just based onvague promises. However, not one of the above principles are being adhered to by your Sarawak satrap, Abdul Taib Mahmud, at the Murum Dam. 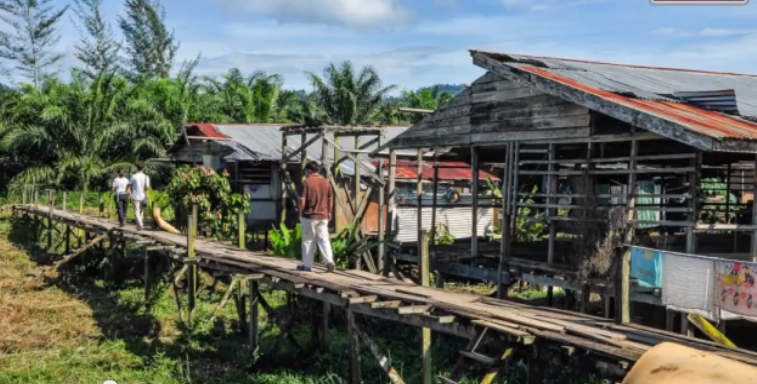 Here some of Asia’s most vulnerable hunter-gatherer tribes are about to be forced from their lands into a displacement village, in the middle of an abandoned oil palm plantation, and told to get on with it. 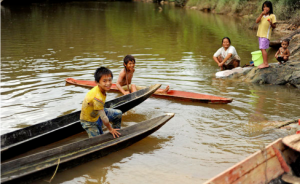 These Penan and Kenyah communities mounted yet another protest at the dam site last week, yet they were dispersed with nothing but verbal promisesfrom government representatives, conceding the barest of compensation terms. We were not ‘instigated’ say the Penan. We are acting because no one is listening to our demands. Many if not all the community angrily reject these miserable terms (as was testified by angry callers to this blog’s sister platform, Radio Free Sarawak, the only media allowed to cover the non-government side to the story). Reporters at the blockade also sent back a videoexplaining the frustration of a people who are not being listened to. 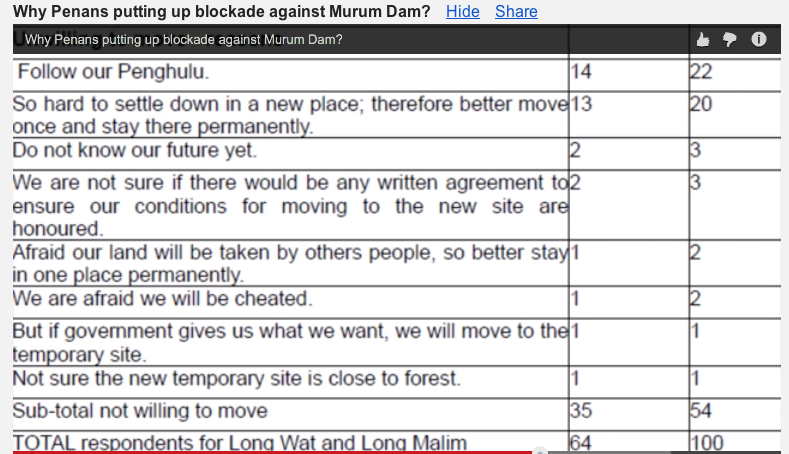 Indeed, at no point in the process have these people or indeed any stakeholders, apart from Taib himself, been consulted on the construction of this Murum dam, which began in secret has has yet to publish its impactreports. This Chief Minister has done exactly as he likes, despite Malaysia’s international commitments. 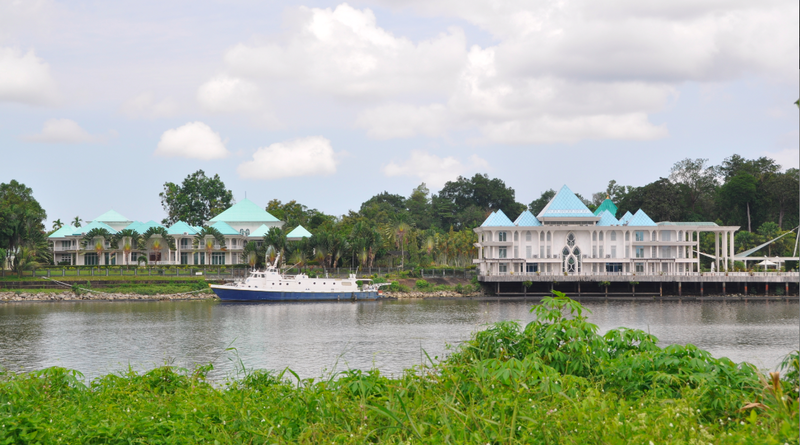 Greedy for land, he hates the fact that large areas of Sarawak were legally reserved for its many communities, long before the advent of independence. His attempts to reverse these native rights have been overturned by Malaysia’s own Federal High Court. So, now he is trying to flood huge swathes of these populations out of their areas by destroying their rivers. His ‘industrial master-plan’ calls for no less than 50 projected dams to be rolled out across the state (mainly involving companies owned by his own family). These looming white elephant projects will displace tens of thousands of indigenous families. The Penan people have listed their very reasonable concerns. Who would argue in their shoes? Trademark Rolls Royces – Taib never travels in a lesser car and uses a fleet of publicly funded planes and helicopters to transport him across the world. 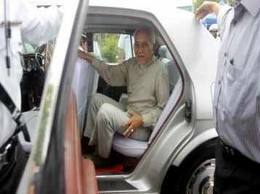 It is the sheer meanness with which he treats the victims of his greed that has raised the corruption crimes of Taib Mahmud to a level of global concern. More and more people across the world are wondering how it is that a supposedly civilised and allegedly democratic country could allow such a local despot to continue unchecked? You yourself, Prime Minister, visited the earlier Bakun Dam ‘resettlement area’ of Sungai Asap before the last state election. And on that occasion you showed yourself to be suitably shocked at the government’s failure, ten years on, to provide the compensation that had been promised to these desperately poor people when they were forced from their homelands. According to reports, you immediately paid the 50% owed by the Federal Government towards this compensation, in order that Taib’s State Government might contribute its own 50% liability and distribute the proceeds to the rightful beneficiaries. Another two years on and that money has still not been paid by the Chief Minister/Finance Minister of Sarawak. 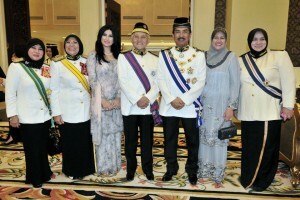 Instead, Taib Mahmud moved right after the General Election in May to treble the salaries of his own state YBs, backdated a year on top! That included a huge increase in his own three ministerial salaries, none of which are needed by this phenomenally wealthy individual. Secure future? The Penan must become farmers within 4 years, after which their ‘promised compensation’ (half the minimum wage per month) runs out. So, it can surprise you Prime Minister, no more than it surprises anyone else, that this rapacious and greedy Chief Minister is clearly determined on winkling the Penan and Kenyah natives of Murum away from their lands, without even allowing them the right to formal representation from a single lawyer or indeed providing them with a any document that guarantees them compensation. These vulnerable people are being asked to rely on the promises of Taib and his political henchmen and told they should move first and trust that the government will provide! 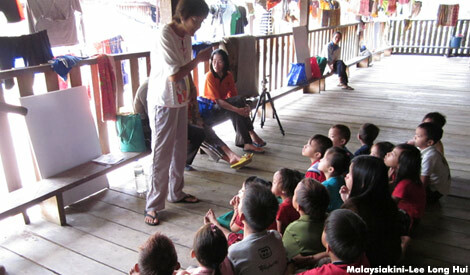 Nearly half these Penan children are currently malnourished according to the government’s own agencies – they face a future on half national minimum wages per family, far from their traditional forest lands. These promises are fantastically vague and like all verbal commitments appear to change with the telling and open to any kind of interpretation. But after the latest confrontations they seem to have boiled down to a miserable one off paymentof RM10,000 (USD3,000) and an unbelievably mean commitment to provide a monthly payment per family of half the minimum wage for 4 years only. This to people who have been robbed of their jungle and wrenched from their livelihoods as hunter gatherers, only to be dumped in the centre of a neglected oil palm plantation! And on past evidence, even this paltry prospect cannot be trusted. Similar promises were likewise given to the people of Bakun, Batang Ai and Bengoh and none of them received anything approximating the sweet dreams they had been ‘promised’ verbally, but never in writing and never before a notified lawyer. The Penan have done their best to protest. They launched a second blockade in just a few months, bringing construction to a halt last week. But, they soon found themselves surrounded by armed police, while politicians chose to blame nameless outside “instigators” instead of addressing the issues. Yet the grievances of the Penan are deep and genuine. Taib has moved into their lands and destroyed the forests over the past decades, leaving them to survive off secondary scrub which has been cleared again and again, shamefully abusing Malaysia’s governance of this region of unparalleled natural history. Any who stand up to Taib’s timber gangs in Sarawak have to live in fear of vicious intimidation by gangsters, while the police look the other way. All this Taib did it in the name of progress and development. 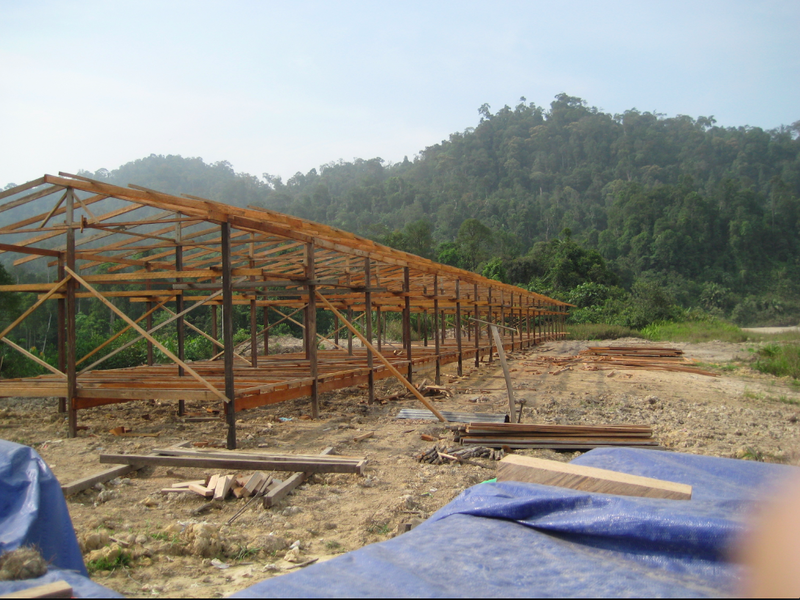 Yet not one penny of those timber profits have gone to the Penan. No food, no housing, no education, no training or skills, nothing. Taib just took the money for himself and left the indigenous people with zero. One measure of the so-called ‘progress’ that Taib’s economic activities have brought to the local Penan are their educational opportunities. There are no local schools. Families from these Murum communities who want to educate their children have to travel up to 100 miles to attend the schools at Sungai Asap – for accommodation they have been living in a converted chicken coop! Unsurprisingly few of these native children have stayed the course of education. Most give up by secondary school, where their parents are expected to pay for books, boarding facilities and food, none of which they can afford. Taib’s oil palm plantations have now replaced much of the forest and none of that ‘development’ has helped these local people either. According to the state government’s own commissioned report, no jobs, no funds, no training or skills have been developed or funded from the billions derived from these oil palm ventures. All that money has of course gone the way of the timber profits – tax free into Taib’s off-shore bank accounts and those of his family and business cronies. So, now he plans to sweep these people away entirely through his massive hydropower schemes, which he perhaps hopes will conceal some of his extraordinary devastation of the Borneo Jungle. Taib without a doubt despises the majority of his native compatriots. He wishes them removed and their cultures wiped out. Riding around in his Rolls Royces and flashing foreign technology makes him feel a superior being to these ‘simple’, ‘undeveloped’ folk. But he does not look superior to the wider world. Taib is a tyrant who is dragging Malaysia’s reputation through the mud. He has broken all the rules at every stage on Murum. He started it in secret; he failed to consult the people; he failed to provide any tested economic case for the dam or any published environmental or social impact assessments; he failed to negotiate reasonable compensation; he has failed to give any legally binding commitments. Running the show now – East Malaysia’s tinpot dictators are oppressing their people, but PM Najib Razak can do nothing to stop them. Of course, a man who has become so sick with greed as Taib Mahmud needs saving from himself, as much as his people need saving from him. Yet you, Prime Minister, are doing nothing whatsoever about it. After Taib delivered his 25 rotten rural seats at the May election and grabbed the balance of power in your country you gave instructions to the Malaysian Anti Corruption Commission to suppress all criminal investigations into the notorious kleptocrat. The man who most shames Malaysia internationally and who infuriates even fellow politicians with his outrageous wealth has under your government become ‘untouchable’. Before the last State Election you made Taib publicly promise to step down in two years. But of course the old dictator has no intention of doing so and three years on you have remained silent on this pressing issue. This failure to take action to protect the indigenous people of Sarawak and Sabah from the greed and excesses of the timber mafia politicians headed by their Chief Ministers is a testimony to the weakness of BN and Malaysia itself. Do something for these children’s future now you have stolen their lands. Your minority BN government is now crippled and chained down by these two monsters, Taib Mahmud and his copy-cat neighbour, Musa Aman, in Sabah. What an irony it is that these Borneo states, which Malaysia chose to treat like colonies for so long, now dominate your own political scene. The backward ‘safe seats’ in these long neglected areas have installed these two corrupted leaders and their henchmen into the driving seat of your country. Taib’s and Musa’s men are crawling all over your government and they are causing you international shame through their domestic corruption, yet it seems there is nothing you can do about it.